Zoolo's Baked Alaska - Sakari DOB: 3/28/18. Sakari is our newest addition. We are so excited for her show future and future litters. She is from some of the top dogs in the Nation and has a pedigree of lovely dogs. She is just the sweetest little thing. We are blessed to have been able to get her. She is such a girl, but a girl that can get down and dirty with her tomboy family sister Kiska "kiss". She is clear on all health tests, carrying nothing. 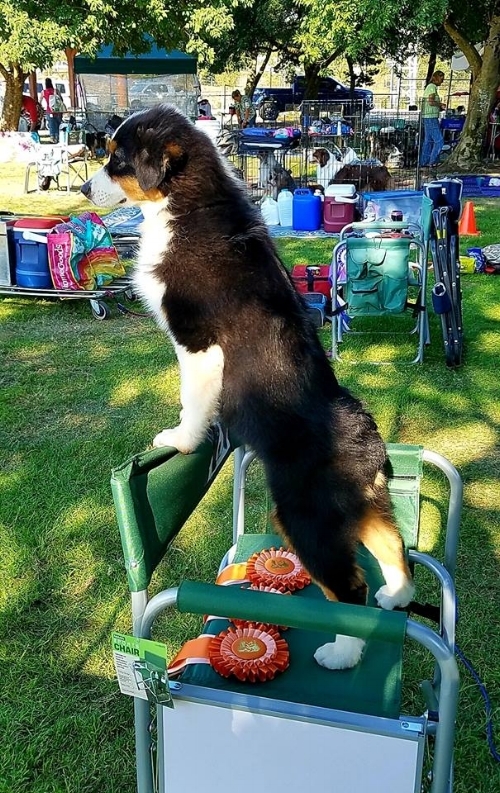 Best in Breed Puppy 4 times out of 5 at the Calapoolia ASCA show.